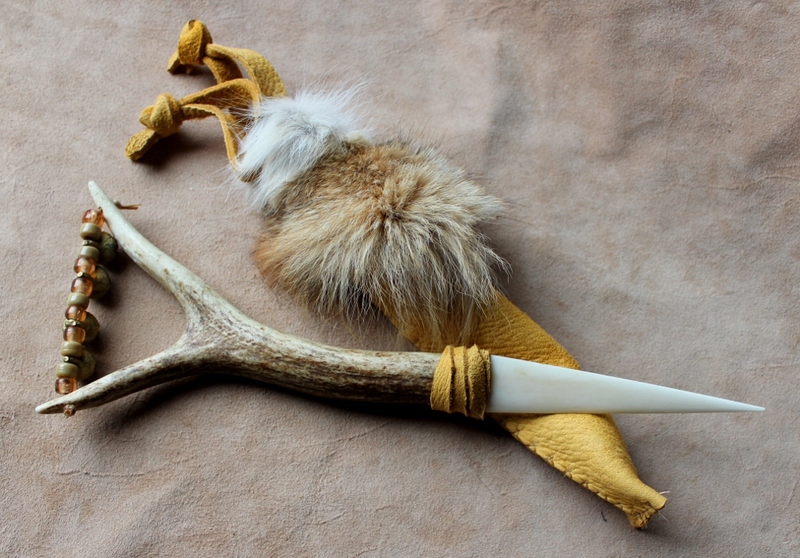 The fork on this piece of elk antler is what initially caught my eye when I was preparing to make it into the handle of a ritual knife. 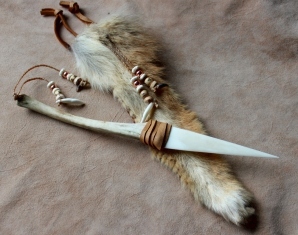 As I fastened the water buffalo bone blade to it, and later wrapped the hilt in deerskin, I thought about what adornment I should put in the space between the tines. 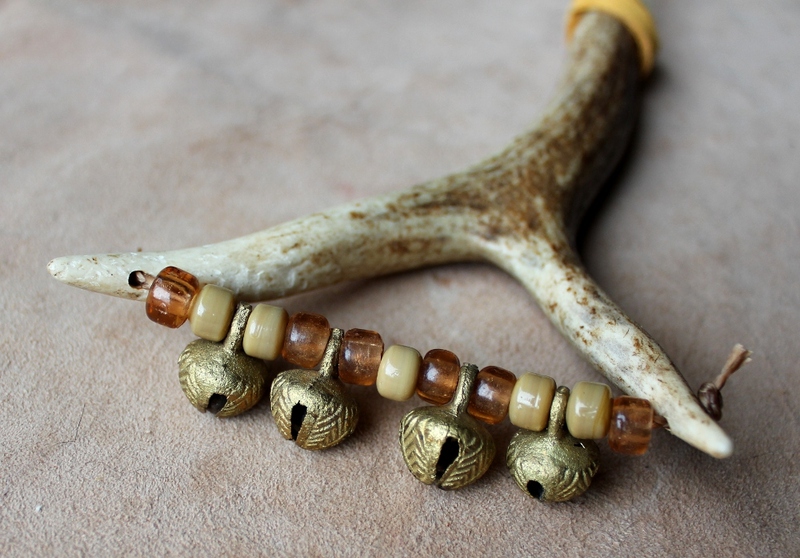 Finally, I settled on a strand of new and secondhand glass crow beads, interspersed with brass bells that have a bright, jingling tone (though with more body than cheap steel “jingle bells”.) 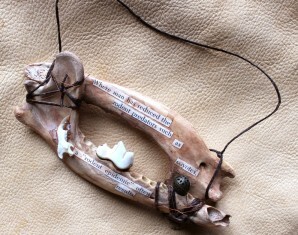 You can shake the knife to make them sing–but ONLY grip the knife by the handle, not the blade! 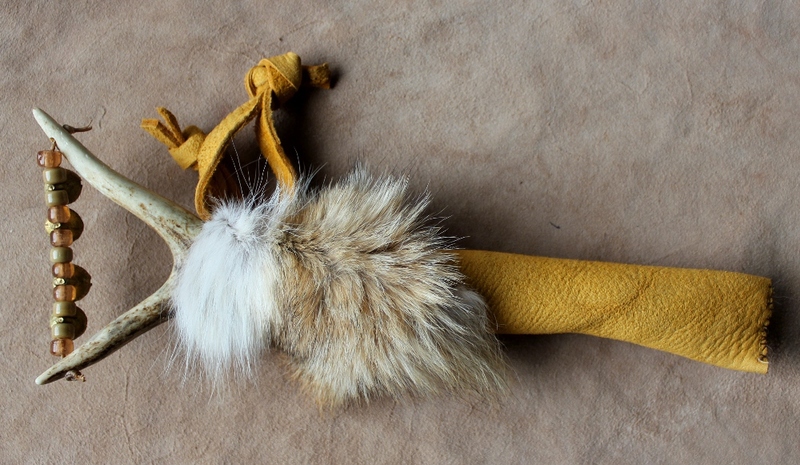 The sheath is also deerskin, with a collar of coyote fur left from a larger project. 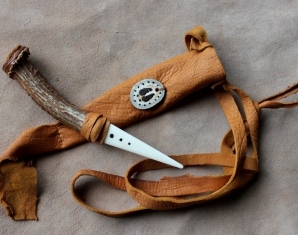 The belt loops on the sheath make this knife easy to wear for rituals and other sacred occasions–just be aware that the knife is delicate, and the bone can not be given an edge or a point. 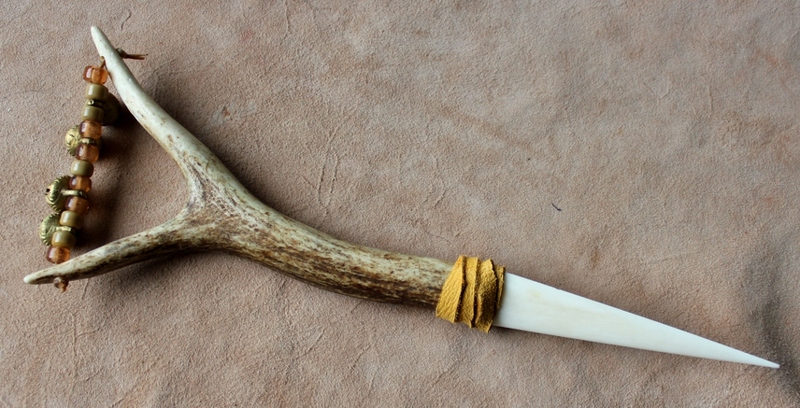 Also, the mouth of the sheath is a bit of a tight fit, so be careful when placing the knife back in it.